To launch the Higher Communications program, I held small group healing sessions using the visual guided meditations in Higher Communications. The healing sessions were divided into four, three hour sessions, over an eight week period. The first held was the module Align, followed by Heal, Empower and Inspire. The video testimonials are from a few of the participants who have volunteered to share their experiences. The Summary is a short version after having experienced the full program. Below the Summary is their experiences of each Module as they progress. 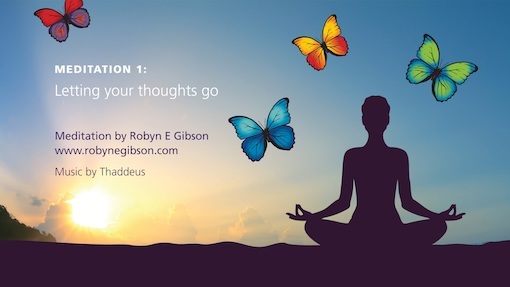 These meditations are now being practiced by other healing professionals to compliment their work with the emotional and mental health of their clients because of the feelings of harmony and growth they bring. After having experienced the meditations yourself and received the benefit of harmony and growth, you will have stories to tell of how they have helped you. With this experience, you too can use this work to help others, either individually, or hold Group Healing Sessions, should you feel guided to do so. If so, please feel free to contact me if you wish via the Contact Page of this website and I will be happy to assist you along the way. The overview of the program after experiencing all of the visual guided meditations. Feeling a sense of harmony and ease within, by releasing and clearing burdens and energy not of the light and having a practice to easily contact your Higher Self. Releasing vows and promises from all directions of time, meet with your guide, contact your personality parts to help with positive change, and creating forgiveness for issues of the past. Change your beliefs to ones which make you feel good inside, project love and experience how it feels to protect love to your emotions to transform them to it's higher expression and from different parts of your body outwards, understand the pain body in others to gain a higher perspective, releasing you from other people's issues, and contact the future five year you - your inspiration, cheerleader and best friend encouraging you to keep on your path of harmony and growth. Awaken the inner healer in you, communicate from an intuitive level as a way to connect with the souls of others, and as a way to create solutions when communicating sensitive subjects; expand your love and light outwards to the earth and all it's beings. Finishing with the I Am's which are a reminder of how much you have grown and how magnificent you truly are. I write this testimonial coming from a previous skeptical position towards holistic medicine, my change of viewpoint happened early 2017. I was having problems with an old back injury at the time and was looking for some other means to relieve the pain other than the medication I was taking. A family friend advised me to try Reiki to see if this would work for me which I basically ignored. It got to the stage that the actual constant pain was wearing me down and was impacting on my daily life so in the end I decided to give it a go. I made contact with Robyn Gibson a Reiki practitioner in my area, as I previously mentioned I had no real knowledge of Reiki, or what was about to happen. Robyn was unaware of my family situation as my wife had passed away some 12 months previously and I was not handling the loss or the change of circumstance I found myself in. During the procedure I became very emotional and could physically feel strange sensations around my head and shoulders. I was still quite emotional at the end of the session and felt very drained. Robyn counselled me and went through what had just happened to me and the grief and pain I had been bottling up. She coached me with techniques to continue my healing process and within the next couple of days I felt a definite change in my outlook. I had actually been walking around in a bit of a daze and was only going about my daily activities out of habit. The whole experience had got me back in control of my life and lifted a tremendous burden I had been carrying. I cannot thank Robyn enough for putting me onto this new holistic path which has helped me in so many ways. Being a new believer, I have recommended Robyn to assist many of my friends who are also seeing the benefits and change within me. Donna Chapman, Red Cloud Design, my precious niece and creative genius for her immense, pure love, passion, devotion and commitment. Millions of people all over the world will experience healing and expansion because of Donna’s outstanding work in Higher Communications. Marie Ware, my precious niece by marriage for her love, passion and guidance to ensure Higher Communications Meditations are easily understood and perfectly timed for the hard of hearing. We did it Marie! Kelly Hammond, Kelly Hammond Photography, my precious niece for her immense love and support, amazing photographs in nature throughout the program and for making me look way better than I actually do! Gaye Nilson, Simply Savvy Web Design, my precious friend for her genius web design, support with everything technical, and encouragement. Lisa Kniebe, Stella Pollaris Copywriting for turning my waffle into something which makes sense and teaching me how to use my words in a professional and effective way. Julie Borsboom, my precious friend for supplying gorgeous rock shaped images from the Kimberley, Western Australia some of which are displayed in Higher Communications Meditations. Jaala Gibson, my precious stepdaughter for your love and making my hair beautiful and my makeup just right for the videos and images. My Cheerleaders: My devoted sister, Carol Ware, my dearest friends Linnet Ernest, Judi Grey, Bridget Pemberton, Christine Bunn, Denise Roberts, Trudi Bish, Helen Cork, Harold and Lila Missen and everyone mentioned above. You encouraged me, helped me focus and realise my dream. My Spiritual Support Group. I am infinitely grateful to my non-physical friends for their wise guidance, inspiration, love and support. And, my husband Shane. You believe in me, support, protect and love me like no other. My heart swells will love and gratitude that we have led this amazing life journey together. Thank you babe. You are awesome!